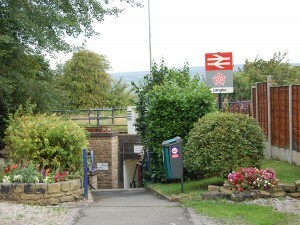 Langho station serves three villages, Old Langho, Langho and York. 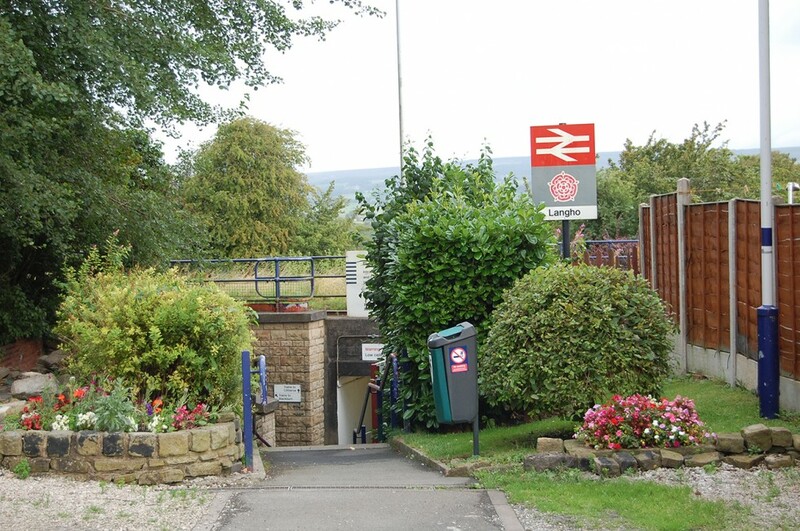 The railway station is sited in Langho and the views into, and across, the Ribble Valley are spectacular, in particular the view of the majestic and broody Pendle Hill. The name of Langho is a shortened version of the ancient spelling Billangahoh which comes from a local tribe known as the Billangas of Brigantian origin. The village of Old Langho sits on the ancient Roman road to Ribchester. Its church, St. Leonard’s was built in 1557 using materials taken from the ruins of Whalley Abbey. The Black Bull one of the oldest half timbered hostelries in the area stands close to the church. Old Langho is the original village and Langho village only came into being with the construction of Whalley New Road. Langho boasts a village pub, the Petre Arms, two hotels, Mytton Fold Farm Hotel and the Foxfields Hotel. The famous Michelin starred Northcote Manor can also be found on the village outskirts. York village sits perched on the ridge high above Langho and commands fine views over the valley across to Longridge Fell. The Lord Nelson a popular hostelry is situated in the tiny village. 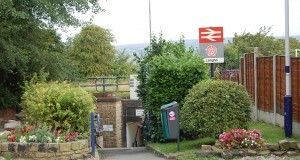 The nearest phone boxes to the railway station are situated adjacent to the village post Office or adjacent to the Petre Arms. SD 705344 – for a map visit www.streetmap.co.uk and enter the grid reference. Bus stops on Whalley New Road (25 yards from station – 22 & C25) – click here for bus timetables, other buses stop outside the Petre Arms (280 & X80). Mytton Fold Farm Hotel also has a golf course and more information can be found by clicking here.